« Looking Back with Affection. I’m fed up with James Patterson. Well not him personally, I understand he’s a really nice chap, but just his books. And I’m not annoyed with him for him being a universally known author while I’m a struggling mid-list one so please let me explain my annoyance. I’ve just come back from a week’s cruise and his books along with other old favourites like Maeve Binchy and Joanna Trollope, seem to be as numerous as sunbeds on the ship. I’m annoyed because with so many fabulous authors out there people still seem to grab the same old thing from the airport W H Smiths before boarding their flight. Given that most people cite ‘time to read’ as one of the things they enjoy most about relaxing on a beach they seem to give very little thought to the matter before they check in at the airport. So as a public service to my favourite people – readers – I thought I’d give you a few of recommendations for authors you may not have discovered to pack in your suitcase. 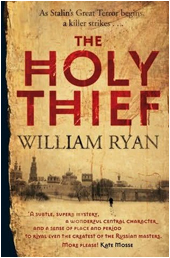 If you like a good thriller/murder why not try The Holy Thief by William Ryan the first of his Korplev Mysteries. Set in 1930’s Moscow under Stalin’s oppressive and paranoid regimen we follow the fortunes of Captain Alexei Korolev a detective in the Moscow Criminal Investigation Department. Not only is this a cracking detective story but a fabulous insight into the corrupt, blood-soaked world of communist Russia at the time. Fabulous read and highly recommended. 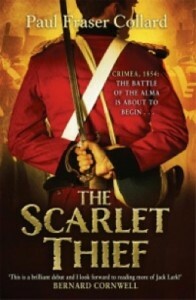 features Private Jack Lark of her Majesty’s King’s Fusiliers. As Jack is a good old East End lad from the Victorian rookery of Spitalfields I was willing the story to grab me from the start and it did. I won’t say too much as it would spoil some of the twists and turns but the book starts at a breakneck pace and continues to the end. Again good period details which don’t intrude on the action. The Girl Under the Olive Tree by Leah Fleming. In the same vein a heart-wrenching read, which follows the fortunes of Penny Georgiou a half British and half Greek nurse. We meet her in pre-war Athens and then as she ministers to the sick in German occupied Crete. It’s fantastically atmospheric and holds your interest on every page with a very satisfying ending. So far I’ve given three historical recommendations but now I’d like to throw you something of a ‘curve ball’ with my next recommendation Aurelia by Alison Morton. This is the 4th in her Roma Nova series and is set in the alternative world of Roma Nova a remnant of the Roman Empire that survived into the 20th century. Morton does a brilliant job constructing this modern Roman society within the alternative history of the 20th century minus Hitler and a different configuration of European states. It’s a story of industrial espionage and spies with Aurelia Mitela a serving officer in the Pretorian Guards and member of one of the ruling families, as a sort of female James Bond getting into all sorts of mayhem for Empire and Family. 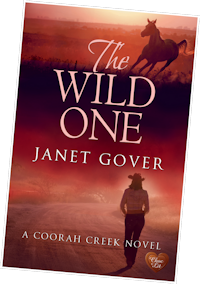 Although you might be floating in the Med or laying on a beach in Spain you can travel further field; to the Australian outback in fact, with the Wild One by Janet Gover. It’s the second in her Coorah Creek series featuring the small mining town somewhere deep in Queensland. We meet photographer Rachel Quinn and park ranger Dan Mitchell both struggling with unresolved issues and heart-break in their past. As Ms Gover originates from an outback town like Coorah Creek she takes you there right down to the dry dust on your boots. Well recommended although you might want to start with Flight to Coorah Creek, the first in the series. 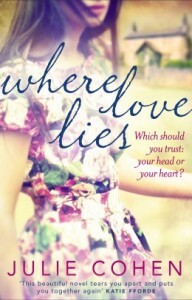 Lastly, I’d like to recommend Where Love Lies, by Julie Cohen. It’s a wonderfully crafted novel about Felicity and Quinn, a newly married couple and their fight through a very unusually threat to their happiness. My sympathies veered between Felicity and then Quinn at the start of the book but then found myself willing them both to win through. Absolutely love the whole story and read it in two days flat but I must warn you to keep a box of tissues handy. Have a nice holiday and enjoy.